Today I assisted to an Ensadlab seminar entitled Temporalités (Temporalities) here in Paris. The intention of coordinator Lucile Haute triggered me: the afternoon was meant to experience research projects directly, as opposed to “just talking about them.” With Field Essays, I too try to show a process in a direct way, offering a generous experience. Performances somehow always trigger some kind of uneasiness in me. As if I don’t know where to position myself. The audience of today was clearly an audience of “habitués” – they seemed to undergo everything quite calmly. “Matière à deux temps” was a very nice, semi-improvised, semi-scripted conversation between a mathematician and an artist / researcher, in which concepts of geometry of time-space were approached in a low-fi, hands-on manner. Perhaps the most enjoyable part was that they were clearly enjoying themselves! Atelier Sophie Krier (Lux/B) is based in Rotterdam and explores the peripheries of the design field through field work in public space and editorial projects. Moving images, language and social interventions constitute her body of work. 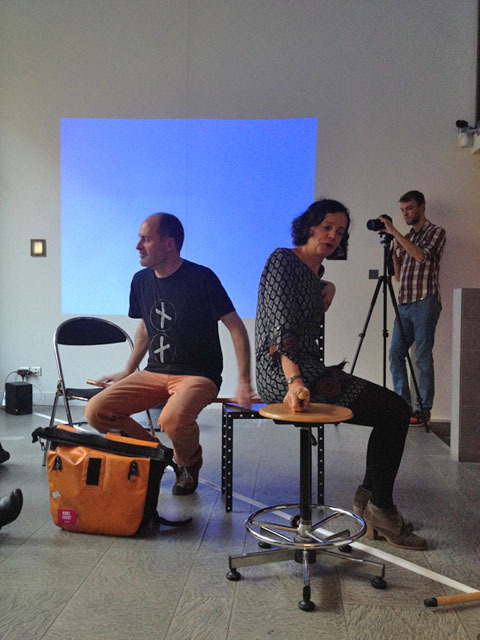 Between 2004 and 2009 Krier led the BA course designLAB (Rietveld Academie). She lectures and conducts international workshops regularly and has curated symposia on design, education, craft, and visual culture. Current topics of research include the youth debt issue, our involvement with nature and the resurgence of animism in design. Since 2008, Krier writes about the nature of design processes in the self initiated journal Field Essays. In short, Atelier Sophie Krier develops tools for collective narration and reflection. Material Night: New Materials, New Values? La culture c'est d'abord la terre. Le titre? Il n'y a pas de titre. What does it mean to make stones that look like stones? What a pity you are an architect. You would make a sensational partner.